Solar panels in Bemidji, Minnesota. The beleaguered Made in Minnesota solar panel incentive program — facing scrutiny from state lawmakers over its effectiveness — will support 73 percent more projects in 2017 than it did in 2016. The Minnesota Department of Commerce released the figures last week. State Republicans have called for dissolution of the program, which pays applicants a slightly higher per-kilowatt-hour payment for 10 years in return for buying panels certified as being made in Minnesota by one of the following companies: Heliene, Inc., Itek Energy and Silicon Energy. Established in 2013, the program’s $15 million annual budget is part of Minnesota’s Renewable Development Fund, which provides money for clean energy projects across the state. “This year’s significant increase in new solar capacity supported through the Made in Minnesota incentive program reflects the continuing decline in module costs and the cost-competitiveness of Minnesota solar manufacturers,” Commerce Commissioner Mike Rothman said in a statement. “This allows the same amount of incentive funds to support even more projects and even more solar energy production in our state. It also drives further growth and development of a Minnesota-based solar industry, creating jobs and economic opportunities for more Minnesotans,” he added. The program operates in territories served by Minnesota’s three investor-owned utilities. Xcel Energy, which serves the Twin Cities region, has by far the largest recipient pool, with 156 businesses and 508 residential customers receiving funding. Xcel’s customers account for more than 10 megawatts of the total; the other two utilities are Minnesota Power and Otter Tail Power, which collectively will serve 180 kilowatts of solar to customers. In contrast, last year the program produced 5.7 MW while supporting 393 projects. This year the amount of production jumped by 80 percent — welcome news for industry proponents. 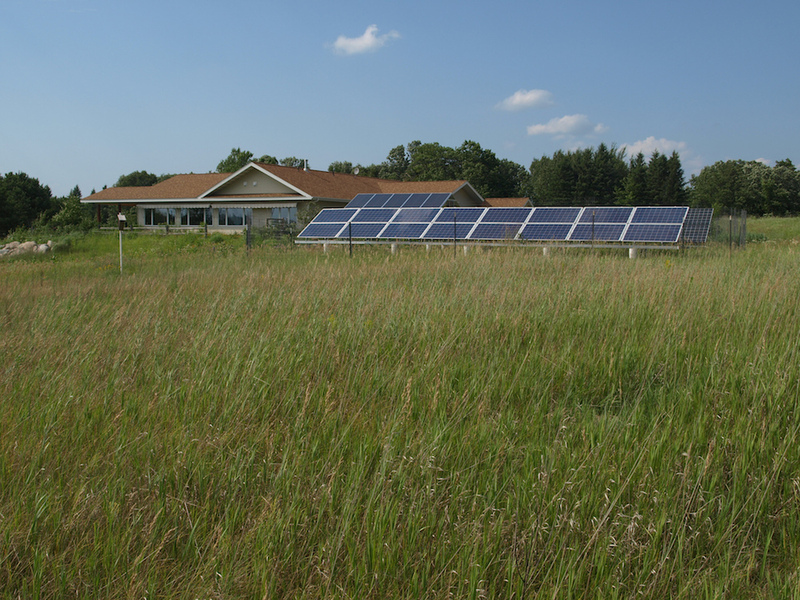 “This is counter to the narrative I’m hearing from Republicans that this program doesn’t get many megawatts in the ground and is expensive,” said David Shaffer, development director of the Minnesota Solar Energy Industries Association. The increase came in a year when the state subsidy for customers in the program decreased significantly, causing one company, Ten K Solar, to drop out, Shaffer said. The program also saw a declining number of manufacturers. Commercial and nonprofit installations can be no larger than 40 kilowatts, while residential systems have to be smaller than 10 kilowatts. An example on the program’s website says that a 5-kilowatt residential system could return more than $17,400 over the course of a 10-year contract. Republicans have long argued that the MiM program delivers too little for the cost. Solar advocates contend nearly 500 jobs will be lost if the program is eliminated. The debate continues as legislation to redesign MiM and the Renewable Development Fund received support from both Democrats and Republicans in omnibus bills in the House and Senate. Republican state Rep. Pat Garofalo, chairman of the House Job Growth and Energy Affordability Policy and Finance Committee, told Midwest Energy News earlier this year that the MiM program was ineffective, and that an improved program would support more jobs than the current one. Shaffer didn’t disagree with the assertion that some components of solar panels are made in China. Many products made in the United States contain parts manufactured overseas, Shaffer pointed out. “A lot of the parts come to Minnesota with a Chinese background but they (the panels) are being fully manufactured here,” he said. Others have noted that, of the three firms in the program, only Silicon Energy is headquartered in Minnesota. At a recent hearing, Shaffer said installers — rather than manufacturers — testified to the importance of MiM. The solar manufacturing program is part of a larger Renewable Development Fund effort. The fund is supported by Xcel Energy payments to the state for storage of spent nuclear fuel at two power plants. Around $15 million annually is spent on MiM, with the remaining amount going to other energy-related projects. Xcel manages the program with the help of a board representing different interests, with many having a clean-energy background. Republicans have proposed a total transformation of the fund by creating a new oversight board composed largely of legislators. Garofalo maintains the new approach will lead to more innovation, expanded research and reduced pollution. For example, he said the reconstructed fund could invest research money in energy storage solutions, a field that does not count as “renewable” under the current program. Margot Fleming, regional sales manager for Itek, said MiM has helped get the company into the Minnesota market. The Minneapolis office of the Washington state-based company employs five to seven people at any one time. Itek started in Washington, which has a rebate program, but has since expanded to several western states. It moved to Minnesota to take advantage of the MiM program, Fleming said. The company considered moving more older production equipment to Minnesota from Washington, she said, but the insecurity of the MiM program has put that idea on hold. Should MiM go away, she believes Itek would probably close its Minneapolis facility. This past year many of the kinks in the program seemed to have been largely worked out and the subsidies were better aligned.